Hypoxic Ischemic Encephalopathy (HIE) is a type of brain damage that occurs during pregnancy, labor, or delivery. HIE results from the baby’s brain not receiving enough oxygen, either because the flow of blood has been restricted or because the amount of oxygen in the blood is insufficient. By nature, twin pregnancies are at a higher risk for birth injuries. The risk of HIE is higher for twins and can cause life-altering damage, such as cerebral palsy, seizure disorders, and developmental delays. Twins are more likely to be born prematurely. Premature babies are more vulnerable than fully developed babies to respiratory problems or brain bleeds, both of which can cause HIE. Twins are at a higher risk for umbilical cord complications. A tangled cord lead to compression, which in turn slows blood flow, oxygen supply, and nutrients to the fetuses. Twins are more susceptible to fetal growth restriction (FGR), which may develop because of placental insufficiency. If one twin’s umbilical cord receives a better supply of nutrients, oxygen, and blood flow, it can leave the other twin at a higher risk for developing HIE. Twin-to-twin transfusion syndrome (TTTS) can also lead to HIE. This occurs when the blood vessels of identical twins are connected, but the oxygen, blood, and nutrient flow is not evenly distributed. 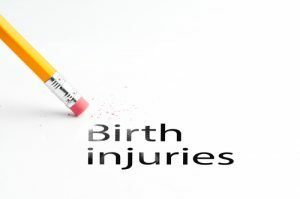 Other twin birth complications include blood pressure problems (preeclampsia, gestational hypertension), C-section errors, and birth tool misuse (forceps, vacuum extractor). It is a doctor’s responsibility to do their best to prevent hypoxic ischemic encephalopathy and watch for such complications by remaining vigilant and dedicated. Prenatal exams should be scheduled frequently, with ultrasounds used to detect the risk factors and dangerous complications that can cause HIE. Procedures such as nonstress tests, amniotic fluid tests, biophysical profiles, and other exams can help the medical professionals monitor twin pregnancies. Extensive delivery preparations before the birth are helpful in ensuring a safe delivery – for example, more nurses, pediatricians, and neonatologists may be needed for twins than for single births. HIE and other medical problems that surface during twin pregnancies should be handled with the utmost care and watchfulness. If a doctor misleads a patient, does not undertake proper vigilance with a high-risk pregnancy, is negligent during delivery, or neglects to set up the proper cautionary equipment and staff before the delivery, the baby or family is entitled to monetary compensation for any resulting birth injuries, brain damage, or developmental delays. If you think your baby is the victim of a doctor or hospital’s negligence or error, contact Thurswell Law today. Call us toll free at 866-354-5544 for your free consultation. There is no fee unless you collect.